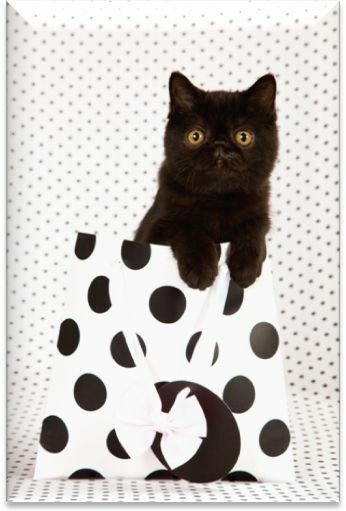 The Cat’s Out of the Bag: Our Super-Fast, Ultra-Effective Link-Building Secret, Revealed! This link-building strategy will only take you a few hours and could net you multiple, quality backlinks. I know this sounds like cheating. It isn't! This isn't some shortcut or cheap trick—you should know us better than that! This is a real deal, white-hat SEO strategy that begins with acts of charity, and ends with a boost in search engine ranking and conversion. It's called a charity linking audit, and it's something I believe you should take the time to do...today, if not sooner! For years we have been performing audits of the charity websites that our clients are involved with. Most recently, Junior SEO Analyst Matt Casey and I preformed a charity linking audit for our long-time client, Hupy and Abraham. This law firm was a perfect candidate for an audit as they are deeply involved in both local and national charity organizations. While performing the law firm's audit, I found that though the firm was listed on the vast majority of the charity websites, what wasn't listed was a backlink to their website. Without a link, not only were visitors at the charity site unable to click and learn more about the firm, but the law practice was missing out on a major source of high-quality backlinks. Backlinks are a factor in Google's ranking algorithm. Natural, high-quality backlinks—read: not paid links—help boost your page ranking. Why? Because Google loves readable, shareable content. It wants to give its users the best answers to their questions, and if a website has multiple, credible websites pointing back to it, then it stands to reason that the information found on the site provides great value. But it’s not just the links that you’re after. Referral traffic is one of the biggest converters, so ensuring that your link is included with your name on relevant websites has the potential to help you get more clients. If your business hasn't dabbled in charity, I highly recommend that you consider doing so, but only if you're doing it for the right reasons. Because while backlinks are powerful, what's even better for your brand, your image, and perhaps most importantly, your heart, is making a difference in your community. And while giving for the sake of giving should be the root of all charity work, there is no denying that there are ways to leverage the work you do in your community to benefit your business; this link-gathering strategy is a prime example. First off, you’ll need to do a little digging. Let's say that you've been sponsoring or hosting an event in your community, or have been working with a local charity organization. When you do this, the organization will often list you as a sponsor or supporter on their website. This is great. It gets your name public exposure, increasing the recognition of your law firm. But it's just the first step. Check out every charity website your law firm has affiliations with. What you're looking for is mention of your name. This is usually found on a "sponsor's page." Once you find your name, see if there is a link associated with it. This link could be a highlighted portion of text, or a clickable image such as your logo. Be sure to hover your mouse over every element of them mention of your law firm on the site to make sure you're not missing an embedded link. If you can't find one, add the name of the site to your “to email list,” with important details such as: what the charity does, what you did to help them, and whom to contact. Note: Don’t waste time with websites that use a PDF for their sponsors’ page as there isn’t a reliable way to link from a PDF. Carefully craft the subject line. The first thing to consider is the subject line of your email. You want it to get the point across but not come off as contrived, impersonal, or sales-driven. The SEO team used "Law Firm Name, Sponsorship Question,” and it worked well; every one of our emails got a response! Open with a compliment. From a psychological standpoint, it's important that the email you send begins with words of admiration or praise. You want readers to get the feeling that they are a valued partner—which they are! Inquire, don't accuse. If the reader feels at all threatened or insulted, there is no way you're getting that link. So tread carefully when crafting this portion of the email. Try something like this: "I was unable to find a link to the website on your sponsor's page, but I may have missed it. Is there another place it's located on your site?" Be specific. You need to be crystal clear in your email. Your request should be specific and include the actual link you want them to use. Close with kindness. Politeness begets politeness, so be sure you thank the reader for their time and, of course, for all the work they do in your community. There is no doubt that this email, crafted by Matt, was instrumental in the procurement of so many new backlinks. If you're wondering if our team's efforts were worth it, the answer is yes! The total time commitment to this project was no more than several hours and the success rate was over 50 percent. You simply can’t beat that return on investment! In case you're aren't yet convinced that a charity backlink audit is worth your time, here are some examples of emails that we got back. As you can see, they were very receptive to the idea, and the interaction only helped build the relationship between Hupy and Abraham and the charitable organization. This organization went as far as changing its linking policy just for us! We received this response (and link) almost immediately after sending the initial email. It's worth noting that we never would have had enjoyed this level of success if it weren't for the decades long charity work that Hupy and Abraham have been performing. So take a note from their playbook and begin building relationships within your community sooner rather than later. I hope that I've opened your eyes to this simple, highly effect marketing strategy. For more top marketing tips from our team, be sure to sign up for our monthly webinars! They are free and cover timely topics that can help you make the more of every marketing move you make. Pop Quiz: What's the difference between a backlink and a referring domain?